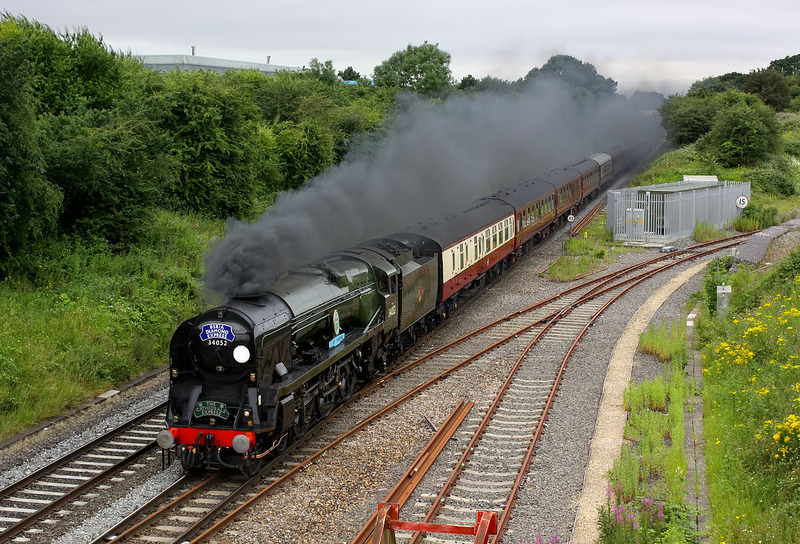 Rebuilt West Country Class 4-6-2 34046 Braunton (running as 34052 Lord Dowding) passes South Marston on 15 July 2016 with the Steam Dreams 1Z36 17:36 Bristol Temple Meads to Victoria 'Cathedrals Express' railtour. Admittedly it was an exceedingly dull evening, but I was still surprised to be the only photographer at this location. Obviously this location is not liked by Swindon area steam photographers, as I was also the only person present the last time I was here for a steam tour!